GameStop's sales slipped by nearly seven percent in the first quarter of 2013 but the overall decline of the industry means the company actually saw its market share increase. Videogame retail giant GameStop reported sales of $1.87 billion for the first three months of its 2013 fiscal year, a decline of 6.8 percent over the same quarter in 2012, during which it hit $2 billion in sales. While overall sales were down, mobile sales were up a whopping 290 percent to $46.8 million and digital sales were up 47.3 percent. Net earnings for the quarter were $54.6 million, compared to $72.5 million in the first quarter of 2012. 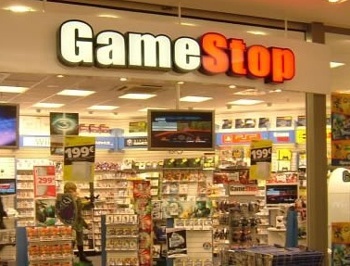 GameStop said its "topline sales continue to be impacted by the late stage effects of the current console cycle," a point reflected by the nature of the decline. New software sales were down 3.8 percent in the quarter while preowned software dropped by 7.5 percent, but new hardware sales were down an alarming but not surprising 30.6 percent. It's easy (and for some people, fun) to predict doom and gloom for GameStop, but even though it faces continuing challenges from an increasingly-digital market, I think a relatively minor decrease in sales at this point in the console cycle is likely good news for the company. New console sales are bound to slow down dramatically as consumers wait for the next generation to arrive and the current generation to drop in price, and the real surprise here is that the dropoff wasn't more dramatic. GameStop also reported that thanks to a much more dramatic overall decline in new game sales of 14.2 percent in the U.S., its market share actually increased and now sits at 47.7 percent of new Xbox 360 and PlayStation 3 software.